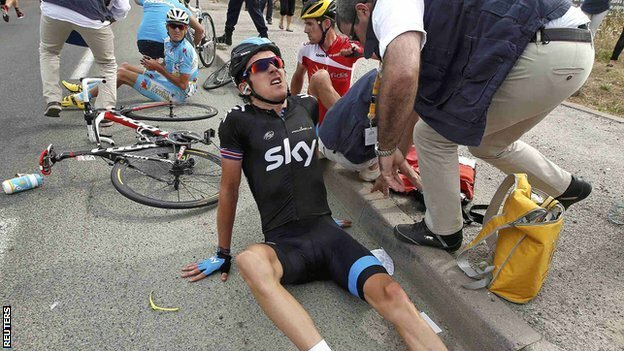 Team Sky set out with a very bold statement in their debut year, 2010, that their mission was to put a British rider in the Maillot Jaune on the Champs Élysées within 5 years. After their first Tour de France that year, it really looked like a hollow promise. The team was far too aggressive on the early climbing stages and ill-equipped to back up that bravado with any results. They obviously had a pool of talent but just looked like a newly promoted small town championship football team taking on the might of the Mancunians (sorry to my American readers for the English football analogy, but there’ll be some more later). The next year Wiggins was looking much stronger and the team more cohesive, but a crash in the first week put paid to any GC hopes. 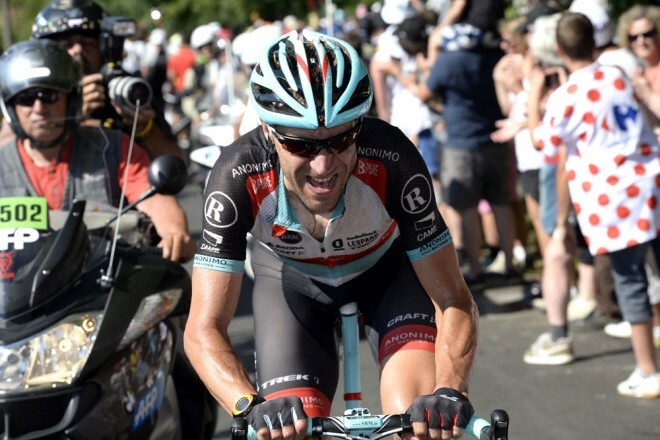 EBH nabbed a great stage win and he and Thomas both showed great promise as puncheurs. 2012 could not have gone better for them. Their GC squad looked like (and drew unwelcome references to) the Postal Train of the previous decade. Wiggins won all his tour targets with consistent climbing and imperious TT performances. 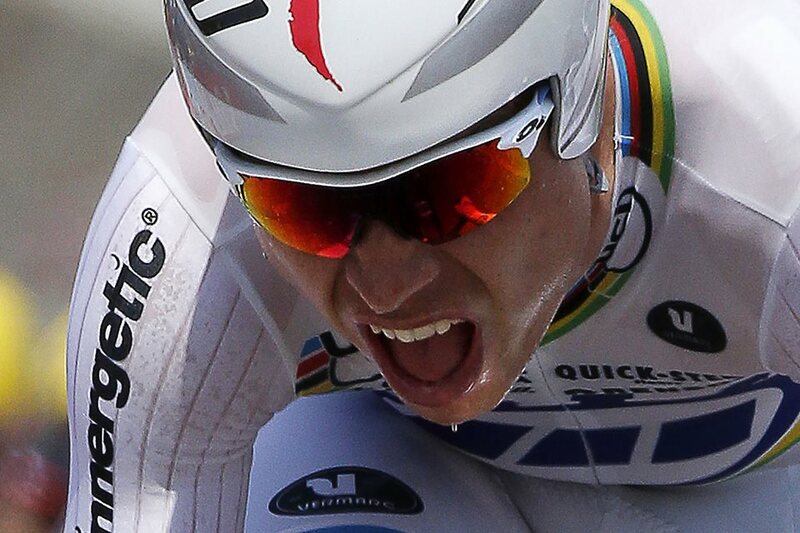 His colonels on the climbs, Froome, Porte and Rogers made it all look so easy. We did get to see the first signs of trouble between their top two GC men with Froome’s ‘Hinault’ moment and the WAGs’ (that’s wives and girlfriends for the non-Premiership followers) twitter fight. Porte has proven himself more than capable of winning big stage races with Paris-Nice this year, and Uran was superb in the Giro. Where I’m heading with this is that it’s hard to keep a team cohesive when there are so many stars and not enough water carriers. Cycling is an unusual sport in that, unlike football, the whole team works to get the win, but only one of them (or two as is often the case with Sky) gets to stand on the podium. The rumours suggest that Uran is being wooed away by other teams looking for a GC leader. If he goes would Henao follow? They’re both ideally suited to the steeper climbs of the Giro and Vuelta and even though Porte is supposedly being groomed for a Grand Tour, presumably that would be the Giro or Vuelta and he could be up against the arguably better climbing skills of his current Colombian teammates on whatever teams they end up on. With Sky’s British-based team and Commonwealth preferences for leadership, you can imagine Uran might think he’d rather get a real leadership role where he isn’t having to make up time lost nursing Wiggins up the hill. With their meteoric rise, and dominating performances, the comparisons to Postal have been inevitable. Aside from the predictable doping rumours, people refer to the Postal Sky Train style of racing. It’s certainly not as entertaining as a Voeckler breakaway or Contador dancing on the pedals up the Alpe, but it gets results like Georgie Graham’s boring, boring, boring Arsenal. Also like Postal, they’ve been pretty lacklustre in the Spring Classics. One day races really don’t seem to favour the Pain Train style. EBH hasn’t quite lived up to the promise of his talents so far. Poor guy, it doesn’t help him that a certain Mr. Sagan showed up on the scene! They’ve completed their initial mission two years early, and while you’d think British cycling fans would be jubilant, there’s quite a bit of backlash about the team’s wealth, Murdoch money and, yep, you guessed it, overpriced Rapha kits. Combine that with the superstar roster twittering away at each other and it makes one think of Real Madrid or Man United. Ugh, now I hate them too! What do you all think? Yes both of you! Are you Sky haters? 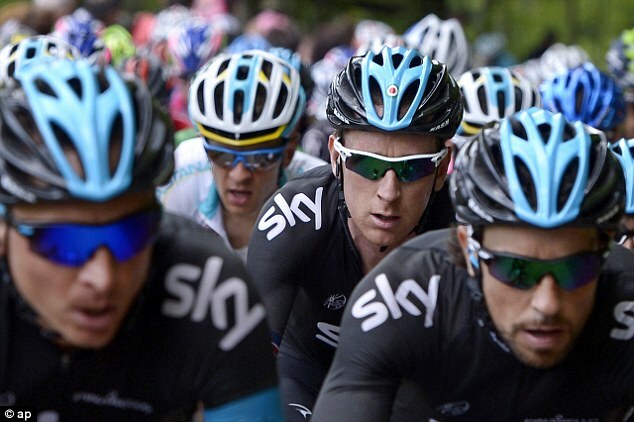 Who will you be cheering for at Le Tour? This entry was posted in Colombia, EuroPro, Great Britain, People, Racing on June 26, 2013 by Matt.